If you are facing court proceedings, it is not too late to seek legal advice from the best criminal defence lawyers. Good representation is vital if your matter proceeds to trial. 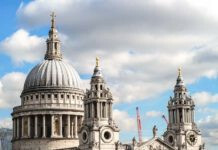 As top criminal lawyers for high net worth and high income individuals, we can help you protect your liberty, your reputation, and your career. We often work closely with our Reputation & Privacy department, our Employment department, and our Family department to provide complete legal support in every aspect of life that might be affected when you're facing criminal charges. Our specialist criminal lawyers are available to advise and represent our clients—often entrepreneurs, professionals, sports stars, and celebrities—around the clock. We understand the impact on yourself, your family and your career that criminal charges can have, whether they be for fraud, sexual or drug crimes, or anything else. 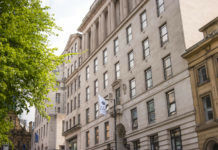 The overall length of court proceedings will partly depend upon the nature of the offence which will in turn determine whether the matter will be heard in a Magistrates’ Court or Crown Court. If a matter at the Crown Court is to be contested at trial, it might take anything from a matter of months to in excess of 12 months to conclude whereas you are unlikely to wait longer than a couple of months for a trial in the Magistrates’ Court. 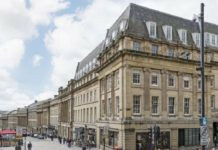 Crown Court cases usually involve more complex evidence and there are often a greater number of legal issues which must be resolved before trial. The trial itself will be heard before a jury and will therefore be a slower and more drawn out affair and which in turn affects court room availability and waiting times. 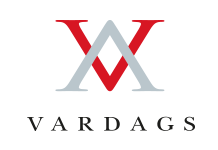 Vardags provide representation and advice for all types of criminal trial. We will work with you to try to bring your case to a close and quickly as possible, and will help you manage your legal issues throughout the duration of your case. Whether an individual will be subjected to bail will first depend on how the matter reached the Magistrate Court. If the individual was summonsed to court, there is no obligation upon the court to impose bail and the court may decide to simply arrange for the individual’s attendance at any further court hearings without imposing bail at all. Where a person appears at the Magistrate Court following charge at the police station however, the court must remand that person. The Court may remand on bail or in custody. Before any decision on bail is made the court will hear representations from both the crown and the defence. It will consider factors such as the nature or seriousness of the offence and the probable sentence if convicted, the individual themselves, their life situation and any antecedents including their record for answering bail in the past and the strength of the evidence against him. The Court must also consider whether they may alleviate any concerns it has by impose any conditions on bail such as conditions to restrict the individual’s movements and allow for their monitoring by police. Vardags will advise you in relation to bail and will help you to obtain bail where possible. We will highlight the facts which boost your chances of bail, including your ability to provide a financial surety to the court. When someone first comes into contact with the criminal justice system, there is a tendency for them to immediately think the worst without any consideration to the strength of the evidence against them, the stage of the proceedings, and most importantly the gravity of the alleged offence. Just because an individual may accept the truth of an allegation made against them, there are a wide range of factors which will still need to be considered by the courts in arriving at an appropriate sentence. A prison sentence represents the severest of sentences reserved for the gravest of cases. They are not passed lightly and there is increasing pressure on judges to use alternative means of punishment where at all appropriate given the well documented problems of overcrowding in our prisons. Vardags can advise you on all aspects of sentencing and will help you to provide mitigation if you are convicted. We will work with you to set out the reasons why a lesser sentence is appropriate.